Barcode labels help businesses track stock and access key product data easily. In a single barcode scan, you can see product details, stock on hand, pricing and even complete a sale. There are several ways to create a barcode and print labels, and we’ll show you how to get the job done in three simple steps. If you need barcode labels to manage your store inventory and speed up checkout, you should consider using a POS system. 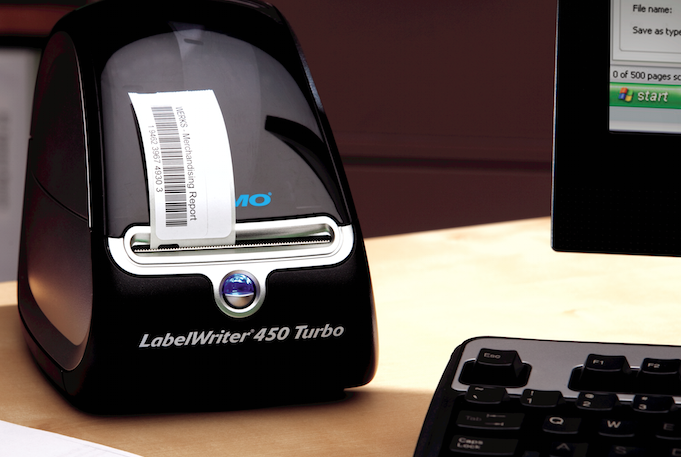 These let you easily create and print barcode labels as-needed, and much more. We recommend Lightspeed POS because it has excellent inventory management and barcode features, plus it streamlines your checkout, tracks sales, records staff activities, and helps you manage your entire business. Try it free for 14 days. Now let’s explore how to create a barcode and then get your barcode labels printed in three simple steps. To create a barcode, you need to have unique product codes that identify and track your products. Most businesses use either UPC numbers or SKU numbers to track inventory items and, in turn, create a barcode for their barcode labels. The best stock coding or numbering system for you depends on the type of business you operate and your inventory tracking needs. Here’s a quick look at both of these options, and we’ll explore each in detail below. 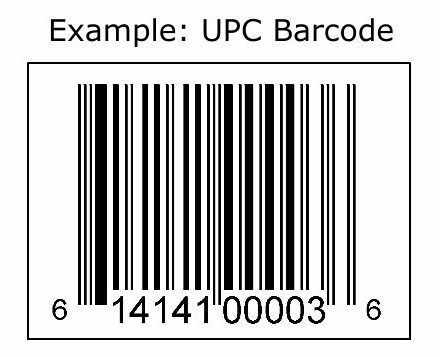 UPC barcode labels are what you find on most products and are placed there by the manufacturer. To get UPC codes, manufacturers register with Global Standard 1 (GS1) to receive unique 8- to 12-digit codes that identify and track their products worldwide. UPC barcode labels are used by most product manufacturers and can be tracked within POS systems like Lightspeed POS. You can learn more about getting started with UPC codes on the GS1.org website. You can also create a barcode for each of your products based on the internal inventory tracking or numbering system that you set up for your operation. These are called custom internal SKU numbers. SKUs are often used by retailers and e-commerce sellers who stock items from many suppliers and want to track products under a common numbering system. Setting up your own custom SKU numbers offers many advantages over trying to track products using only manufacturer UPC codes. See the benefits of custom SKU numbers and learn how to set them up for your business in our guide to creating SKU numbers. 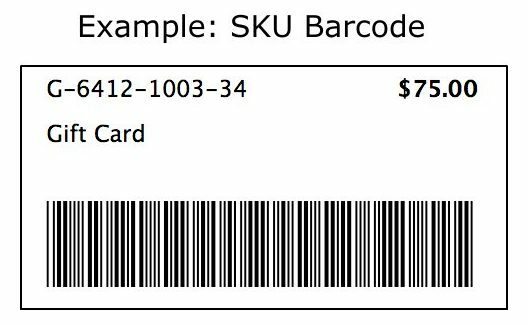 Retail POS systems like Lightspeed POS make it easy to create barcode labels using your internal SKU numbers. Once you have your unique product codes set up, your next step is getting the codes into a system that translates them into barcodes that you can use to print labels. 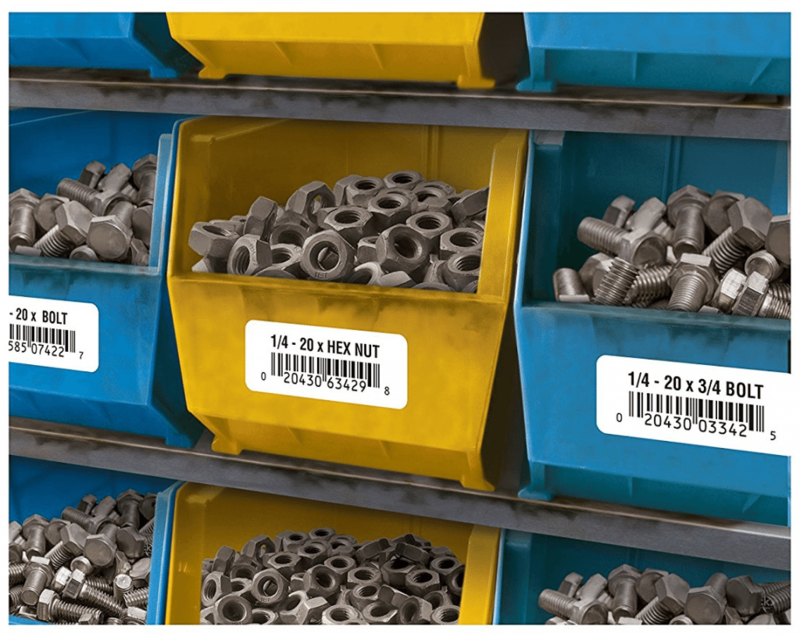 SKU numbers help you organize, track, find, and identify inventory using a system that’s meaningful to you and your staff. Done right, your SKU numbers help you merchandise your sales floor, better serve customers, and maximize sales. Here’s a closer look at how each of these three options creates a barcode that you can use to print barcode labels. Lightspeed POS is an end-to-end retail sales management system that creates a barcode based on each inventory product code and prints barcode labels as needed. Most retail POS systems like Lightspeed POS have built-in inventory tools that make it very easy to create a barcode from your product codes. If you manage inventory in any quantity, you really should consider using a POS system. It greatly simplifies barcode label printing plus streamlines all of your business activities including sales and checkout tasks, payment processing, staff management, store performance reporting and much more. We recommend Lightspeed POS for stores managing large inventories because it has stellar inventory management tools, plus makes it easy to create a barcode for any type of product code you use. 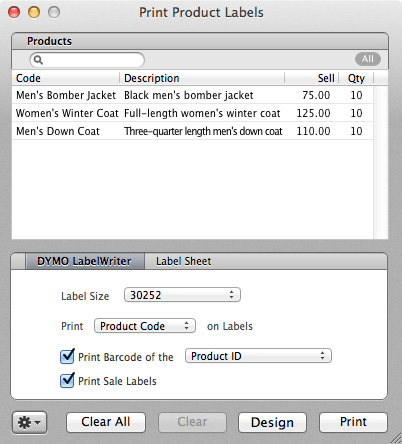 As shown below, in Lightspeed’s Print Product Labels screen, you can select the type of code that you want to print on your labels. In this case, Product Code is selected. However, if you want to print a UPC code or another code that you track in the POS system, you can select those too. Lightspeed POS has a built-in barcode generator function that lets you create a barcode for each unique product code listed in your inventory. Lightspeed POS makes it easy to print other data on your barcode labels, such as the product name and pricing, by selecting Print Sale Labels, shown above. You can also print labels for specific products, select label style and size, set the quantity of each label to print and even customize your layout on screen. Once you’ve finalized the details, simply click Print and Lightspeed sends it to your barcode label printer. Online barcode label websites like Online Labels, shown above, generate barcodes that you can download and print yourself or order in preprinted labels. As you can see above, you can select from several barcode formats. Note that these barcode variations generally work across all devices, inventory and POS systems as long as you select the same barcode type in your scanner and system settings. Free barcode generator websites are a handy way to create barcode images, but you still have to get them printed onto labels. Online Labels and similar sites sell printed sheets or rolls of the barcode labels you create on their site, but that comes with a price. Expect to pay about $20 per 100 label sheets. For that, you get 700 of the same codes, printed on ready-to-use labels and they arrive in just a few days. This option is popular with manufacturers who need large quantities of labels but don’t want to fuss with printing labels themselves. However, if you need just a few barcode labels and don’t want to spend any money, you can use this option. First, use Online Labels or a similar site to create your barcode, as we did above. From there, you can download your barcode as a .jpg image and simply insert it into Microsoft Word, Google Docs or another document creation program. Then, print your code onto inkjet or laser label sheets, which we cover below. If you need to track inventory in a retail POS or other inventory management system, a portable handheld barcode maker with a built-in label printer may be all you need. A handheld barcode maker works just like it sounds. You type the code and label information into the device, like the one shown below, and it translates your code into a barcode. It even lets you customize the look of your label and add more information like product name or pricing, then prints your barcode and other information right onto a label. The Dymo LabelManager 420P costs about $80 on Amazon. Handheld portable barcode label printers like the one shown above cost around $80. You do have to purchase label rolls designed for the device, which adds costs depending on the quantities that you need to print. But, you can hardly beat the convenience and simplicity if you need to print a limited number of barcode labels on the fly. A few of the barcode creation methods discussed above include printing in the overall process. However, if the right solution for your requires printing barcode labels with your own printer, we cover those options in step three. If you’re creating barcode labels using a retail POS, e-commerce order management system or document software, you’ll need to use a printer and label sheets or rolls to print out your barcode labels. If you use the label generator website’s printing service or handheld barcode label printer, covered above, you won’t need this step. You can use standard desktop inkjet or laser printers to print barcode labels onto label sheets or thermal printers that print barcode labels onto label rolls. Here’s a closer look at how you can use these types of printers to print your barcode labels. 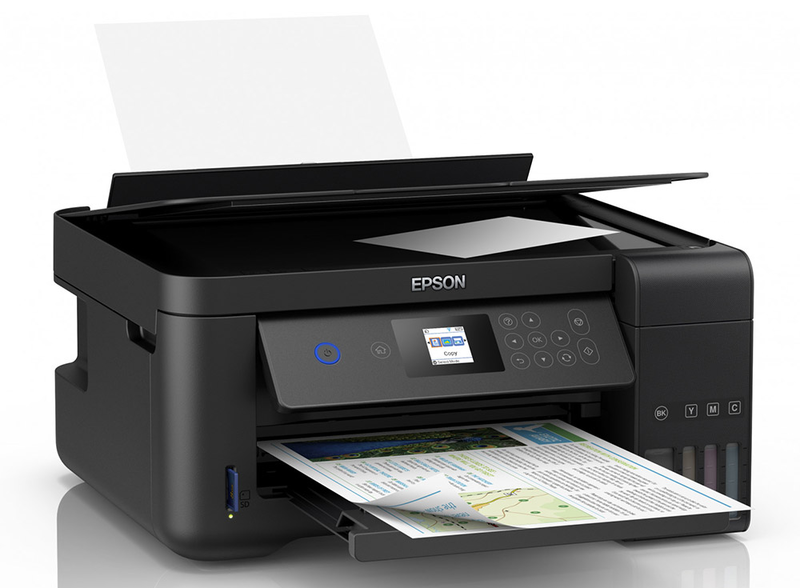 The Epson Expression ET-2650 Color Inkjet printer costs about $230 on Amazon, prints crisp barcode labels and is a supertank printer that uses bulk ink refills, not expensive cartridges. You probably already have a laser or inkjet printer. If you don’t, you can pick up a basic model for around $50. If you need more features for your business, like a built-in scanner or fax, all-in-ones like the Epson Expression above cost around $230. Laser and inkjet printer labels are available in office stores and on Amazon. Label makers like Avery offer a huge selection of precut laser and inkjet label sheets that with most POS and other inventory management systems, including Lightspeed POS. With them, you can print barcode labels to the exact size and quantity that you need. 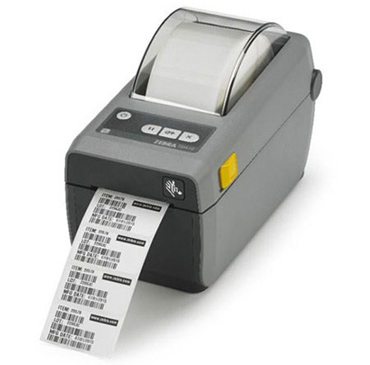 Thermal label printers are inexpensive and a good value if you have to print barcode labels often or in volume. Thermal label printers print onto inexpensive thermal labels that usually come in bulk rolls. Another advantage of thermal printers is that they don’t use ink or toner. This way, you never find yourself unable to print labels because the printer ran out of ink. The Dymo LabelWriter 450 thermal label printer costs about $90 on Amazon. Dymo and Zebra are two top makers of thermal label printers that integrate with most POS systems, including Lightspeed POS. The Zebra ZD410 is a high-volume thermal barcode label printer that costs about $250 on Amazon. 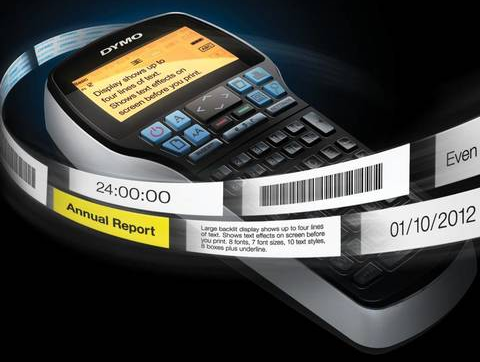 Dymo and Zebra are top-rated names in thermal barcode label printers. Zebra, in particular, offers a variety of high-capacity label printers, including printers that incorporate radio-frequency identification (RFID) smart label technology for wireless inventory tracking and theft prevention. To learn more about your many printer options, check out our guide to barcode label printers. It explains how different types of barcode label printers work and compares several top-rated units. There are many ways to create a barcode for each of your products. UPS codes and internal SKUs are the most common code conventions that retailers and e-commerce companies use. Once you’ve settled on a code system, you can create a barcode for each item number using a POS system, online barcode generator website or even a portable barcode label printer. If you sell just a few products and don’t need to track inventory, printing barcode labels using a handheld device or online barcode generator may be all you need. If you have to manage large inventories for a store, a retail POS system like Lightspeed POS is the better choice. It offers built-in barcode tools that let you create a barcode and print labels easily as needed. Plus, you get end-to-end inventory tracking, sales tools and staff management features that help streamline your entire operation. Click here to try it free for 14 days. Do you use barcode labels in your operation? If so, we’d love to hear how you create your barcodes, what types of codes you use and how you manage your label printing in the comments below. You can do it all from Excel and MS Word if you want to. Just enter all of your data into Excel and then use Word’s Mail Merge feature which imports your Excel sheet as the data source. It has a wizard that walks you through the process. You can arrange the label fields any way you wish and print to a variety of Avery laser or inkjet labels. You can also use the free Square POS system to track your stock sku numbers, item names, and pricing (plus handle all of your sales and payment processing), then export item data as a .csv and use the Excel/Word mail merge to create your labels. Once you do it, you’ll see it’s an easy process. Hope this helps, good luck! Hi I own a vacuum repair shop and I want to barcode all of the parts in the shop but there are about 10,000 parts maybe more and I don’t have the time to do it myself. Is there some way or some company that will come out and could do it all for me, I am willing to pay the cost. I’m sure there are companies or consultants that can do this for you, but I don’t know of any offhand. Try doing a Google search for retail inventory consultants, that should give you some leads for either local or remote services. You might even find this type of service with a fulfillment consultant or on Fiverr’s freelance network. I hope this helps, good luck. Very informative. Answered a few questions I had. AND pointed out a couple of the go-to people for services and printers! An added bonus that helps save cost by alleviating part of the trial period with a company that DOESN’T work out! Thank You very much from Henry and Tammy Vaughan (sis & bro) of Famous Fatso’s banana pudding.